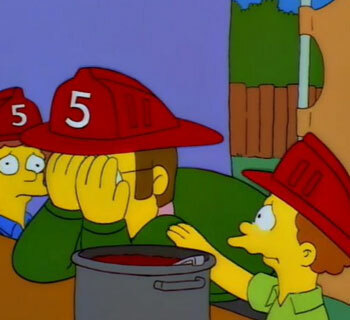 Homer: Five-alarm chili, eh? One…two…Hey, what’s the big idea? Ned Flanders: Oh, I admit it. It’s only two-alarm, two-and-a-half, tops. I just wanted to be a big man in front of the kids. Todd Flanders: Daddy, are you going to jail? Ned Flanders: We’ll see, son. We’ll see. 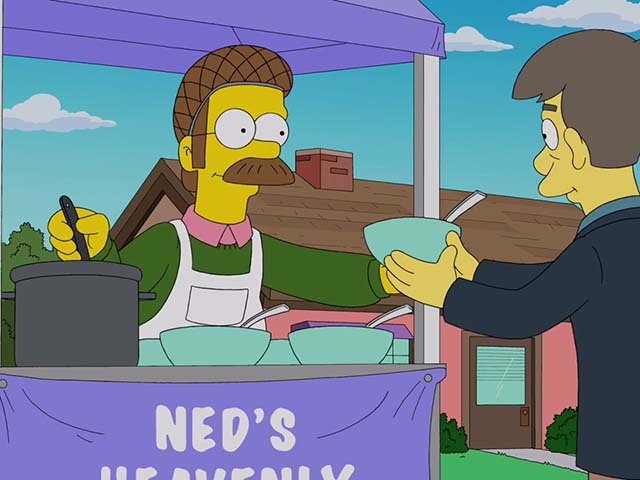 Ned’s “Five Alarm” Chili is obviously not that spicy, it’s Flanders after all. However, I wasn’t sure how to quantify how many “alarms” a chili could have, that is until I found this boxed chili mix! 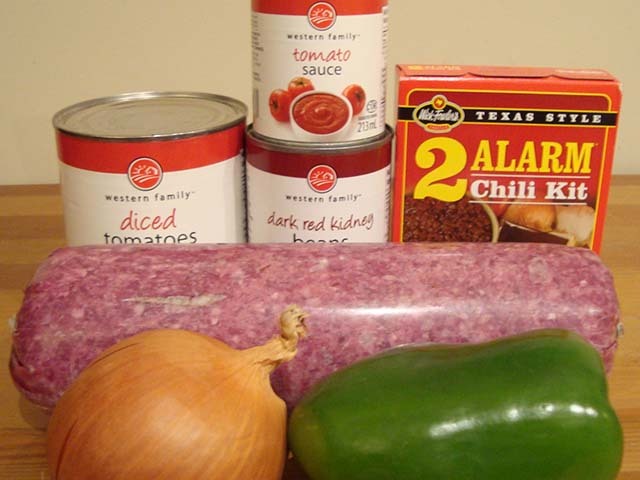 The initial instructions for the chili are “Texas style”, calling for meat and tomato sauce, plus the spices that are included in the kit. However, the box also said to “make it your own” so I added beans and vegetables (which I like in chili) – it is for the Springfield Chili Cook Off after all! Either way, I kept the spice levels to a minimum. Chop onion and green pepper and saute in a large pan until the onion is translucent. Next, brown the ground beef until cooked through. Add the diced tomatoes, kidney beans, and tomato sauce and combine. Add spices and stir, then add water as needed to keep the chili a consistency you like. Simmer for at least a half an hour. Note: I forgot to take a picture of the chili. Suffice it to say it looked and tasted like chili. In fact, for something that came from a box this turned out pretty good! 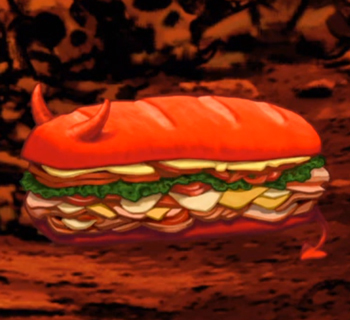 It was tasty and most definitely something I would classify as “2 Alarm”. This is another great example of Ned’s literal “Flanderization”. At one point in time he was making mildly spiced chili and pretending it was hotter to impress his sons. 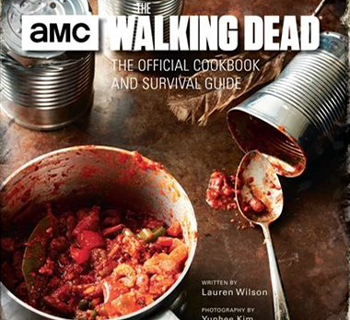 Now he’s making such bland chili that you can’t even taste it? I think it would be a disservice to chili as a food that I love to make something that tasteless; so no alarm chili is definitely at the bottom of my list of recipes to make. Oh I hope this will be the start of a Chili Cookoff saga. If so I will need to put on my chili boots. That’s a good point, no reference to the boots OR the spoon. I must be losing my touch…or perhaps I’m saving that for an entry based around chili made from the merciless peppers of Quetzlzacatenango! Oh man, I forgot about the spoon. Oh well. 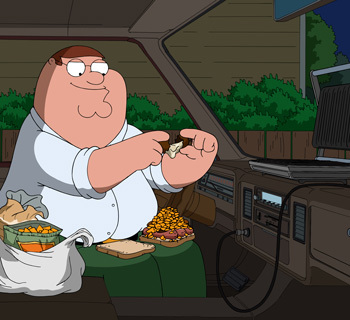 But if your going to try the Quetzlzacatenango chili just remember to bring candles, and try not to brain your damage. I already did! …Futurama quote I know, but it really works here.